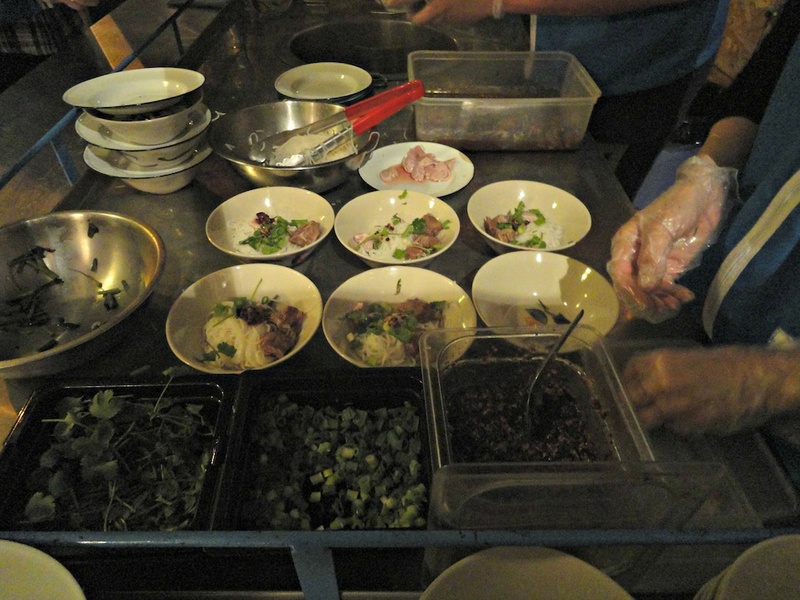 Soi 38’s Popup Tour of Thai Noodles – get on board! We love his website, the Thai-centric website Krapow. 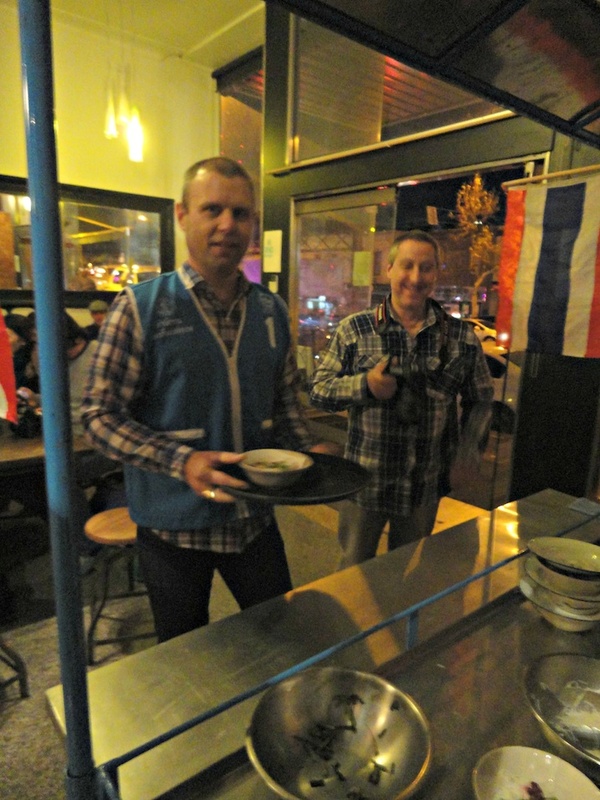 And we particularly love the way he and his Soi 38 colleagues are allowing Melbourne to sample superbly delicious “under-represented” Thai dishes. Especially when they are presented in the imaginative and alluring manner represented by Soi 38’s latest adventure – “A Tour Of Thai Noodles” spread over a succession of Friday nights at a very cool North Melbourne bar/cafe. The first night of the “tour” sees various friends and pals of Andy and Soi 38 front up to Sketch & Tulip for complementary bowls of noodles as a promotional effort for the upcoming Friday nights. Tonight’s fare is boat noodles – that doesn’t slow us down any, even if we have written about them before. See here and here. And who should we clap our peepers on immediately on arrival? 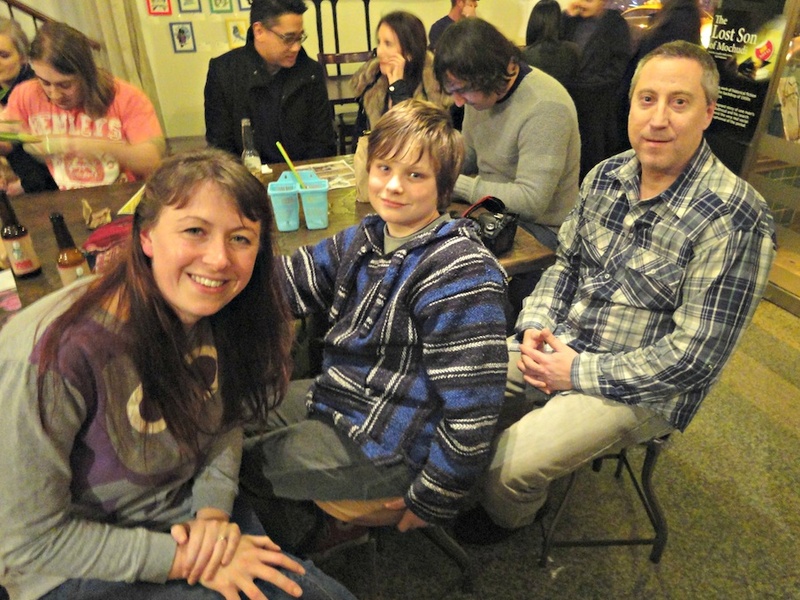 Two of our favourite people, food-wise or otherwise – Ms Baklover of Footscray Food Blog and street food obsessive Nat Stockley! OK, we’re obviously at the right place! 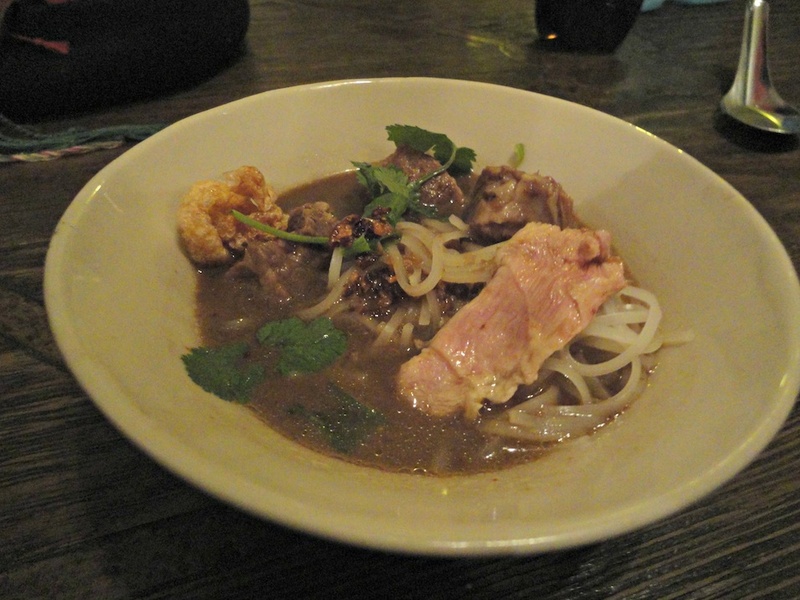 If anything, the boat noodles are even more yummy than before – with a deep, dark and rich broth of just the right amount of chilliness and two kinds of beef. One is stewed and the other, I’m told, is marinated for a couple of days in soda water and then simply poached. The latter is pale and pinkish and pulls off one of my favourite food tricks – it’s both tender and marvellously chewy. We admire the way the Soi 38 crew are pricing their noodles. Sure, tonight we’re supping “on the house”. But even at the regular price of $5, you can go one, two, three or more bowls and still be getting an outright bargain on food you’ll not find anywhere else in Melbourne. Or probably Australia for that matter. We plan on making as many of these occasions as we can. For further details, check out the Soi 38 website and/or Facebook page. Hi kenny. The link to the rest of this post isn’t working for me. I just get taken to the comments link without the post being readable. Hi Janet! Just checked everything and it all seems to be working from my end. Will just have to wait and see if anyone else is having problems. Thanks for coming Kenny and thankyou for the kinds words. Also, I think I recognise that little fellow in the middle of the photo above. Isn’t that ‘5 bowls’ Bennie? Thanks for that, Andy! Looks like “Five Bowls” Bennie is going to stick!